Balos beach is located at Akrotiri area on the caldera side with a view of the volcano. 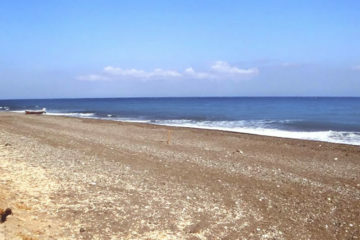 It is a secluded, not organized beach with black volcanic sand and pebbles. 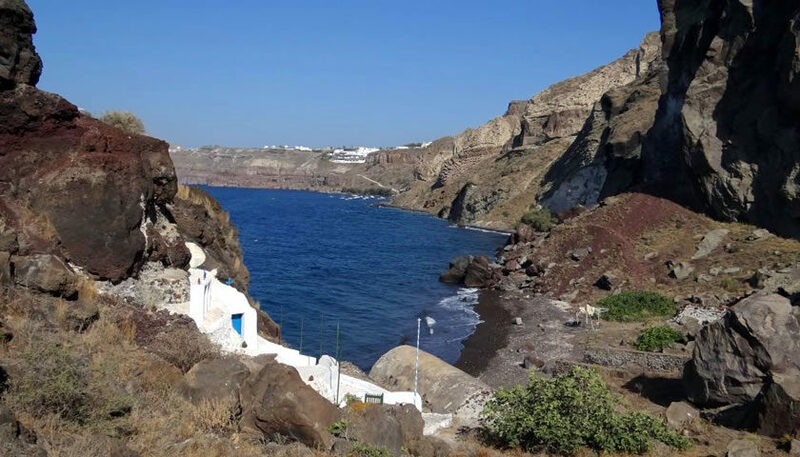 Is is ideal for chilling out and enjoy the sea with great view to the volcano, caldera villages of Santorini and Thirasia island. 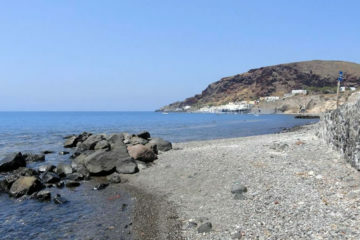 It is located approximately 11km from Fira. 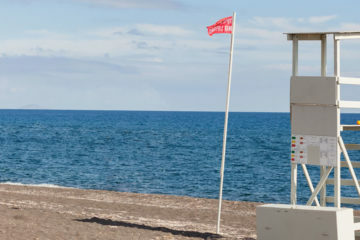 To reach the beach you have to park on the main road that leads from Akrotiri to the lighthouse and walk down a steep, narrow pathway for about 15 minutes.